My son loves digging and dinosaurs. 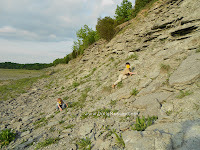 He had a dinosaur birthday (which is one of the birthday parties in my book), and we've gone fossil hunting several times. One of the state parks near us has a fossil collection area and I just found another fossil area near us in the middle of an industrial area. If you want to find one near you, try searching for "fossil collection area" or "fossil park". 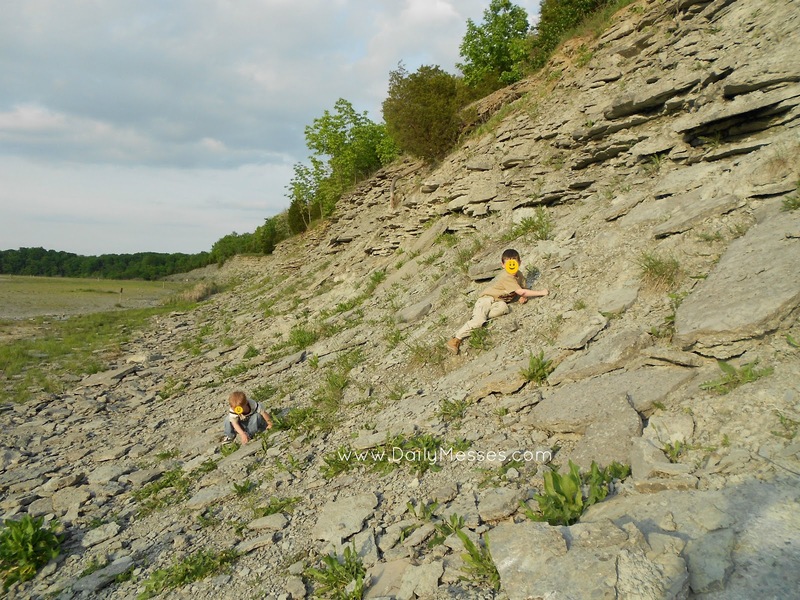 If you don't have any fossil places near you, there's always backyard archaeology! If you have a sand table, bury some toy dinosaurs in the sand during nap time or before they get home from school. Place some plastic shovels and gardening tools around. When he/she wakes up or gets home, go out and dig them up! Make rice cereal "dinosaur" eggs (see Rice Cereal Treats post). Dinosaur Munch. Buy or make a trail mix and add in dinosaur shaped crackers, cookies, or gummy candies!